The Travis CI Blog: Attending GitHub Universe in San Francisco next week? The one conference we never miss is GitHub Universe in San Francisco, and it’s happening in less than a week! Are you attending? A bunch of us, Travis CI Builders, will be there to meet you all during the whole conference. Stop by our lounge anytime to chat with us - we’d love to hear from you! Time flies, it was not that long ago that GitHub Universe 2017 took place and next week, GitHub Universe 2018 will take place at the Palace of Fine Arts in San Francisco! At 4:50PM, our own Josh Kalderimis (VP of Product and Co-Founder), together with Chris Hulton (Senior Software Engineer at Code Climate), will talk about the challenges we ran into when migrating from millions to oAuth tokens to GitHub Apps, as well as some stories and learnings about it! To wrap-up the first day, we’ll be co-hosting a game night with Sentry and we’d love to see you there! There will be bowling, drinks & food (vegetarian options included). 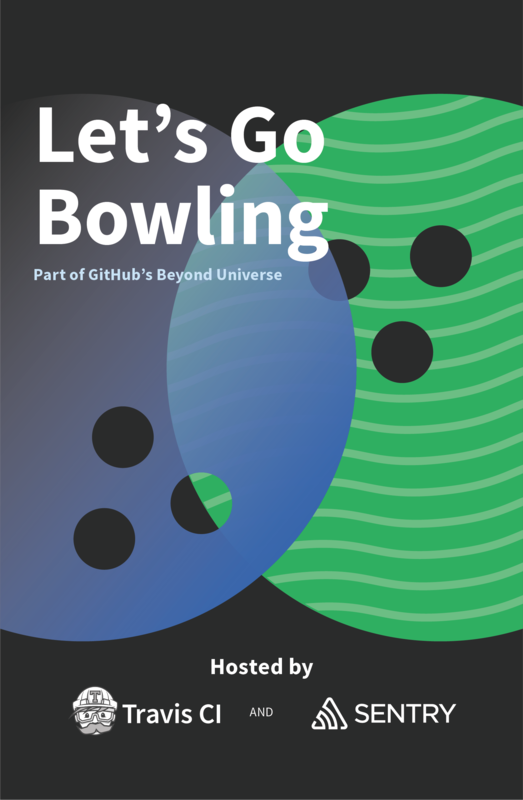 You’ll be able to meet folks from Travis CI and its different teams and talk about everything from bowling techniques to the tech industries future. You can sign up here. Throughout the whole conference, we’ll have a Trivia challenge ready for the bravest ones coming by. Be sure to leave us your email to enter the raffle and win a prize. For those of you who won’t be in San Francisco, we’ll be posting daily updates from our @travisci twitter account, make sure to follow our adventures there!